A six-month pilot local transit system is expected to begin operation in Bridgewater in the Fall of 2017. Second-hand buses will be donated by Halifax Transit. Service will be fare-free 25 September - 01 October 2017. (website 2017). Received in 1927 a Public Utilities Board certificate to operated scheduled bus service between Canso and Hazel Hill [4 km] (Gillis p. 141). Does not appear on the list of 1930 certificates. (See also Nova Scotia Rural Paratransit Systems). 1954 Public Utilities Board certificate to operated scheduled bus service serving Petit Etang, Belle Marche, Plateau, and Cheticamp (Gillis p. 156). Received 15 December 1923 a Public Utilities Board certificate to operate two buses on scheduled service Wolfville - Kentville and Kentville - Kingsport (Gillis p. 140). Certificate renewed 1930 (Gillis p. 142). Subsidiary of United Service Corporation (owner Fred Manning). 1938 P.U.B. certificates for Wolfville - Kentville and Aylesford - Kentville (Gillis p. 145). 1946 P.U.B. certificate Wolfville - Kentville, Aylesford - Kentville via Berwick [30 km], and Wolfville - Canning [14 km] (Gillis p. 147). 1954 certificate covered the same three routes (Gillis p. 153). Operating certificates cancelled 1955 (Gillis p. 159). Operating certificate for scheduled bus service between Wolfville and Kentville cancelled 1956 (Gillis p. 160). Subsidized private operator between Kentville and Wolfville. Operation assumed by KTA. ( Bus Industry Vol. 8, No. 1, Jan.-Feb.-Mar. 1981, pp. 36-37). Operating in the Annapolis Valley (Kings, Annapolis, and Digby counties) and Hants County serving: Wolfville, Greenwich, New Minas, Kentville, Coldbrook, Cambridge, Waterville, Berwick, Aylesford, Auburn, Kingston, Greenwood, Middleton, Lawrencetown, Bridgetown, Annapolis Royal, Cornwallis, Digby, Weymouth, Hortonville, Avonport, Hantsport, Falmouth, Windsor, St. Croix, Ellershouse, Brooklyn. Service also extends to Cornwallis Park and Upper Clements Park (website 2010). Between 04 September 2007 and 30 September 2015 service area extended to include West Hants, Windsor and Hantsport, running between Hortonville, Windsor and Brooklyn (website 2010). 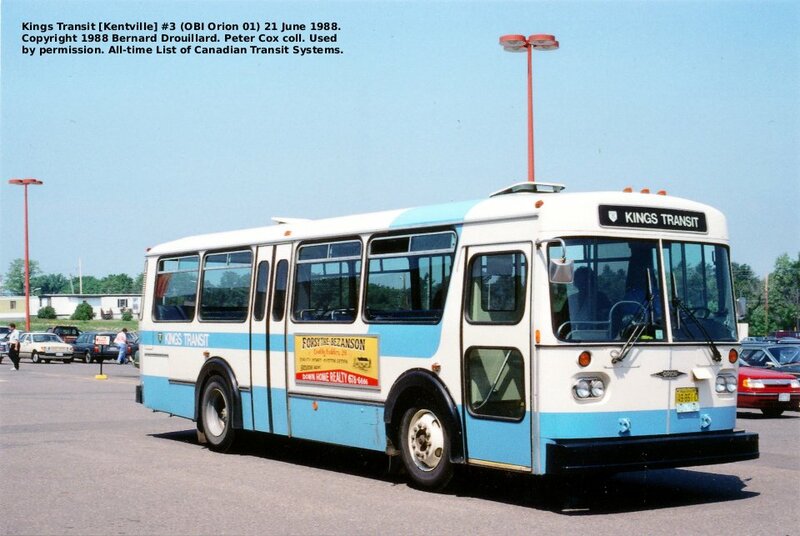 Kings Transit is a municipal corporation owned by the towns of Wolfville, Kentville, and Berwick, and the Municipality of Kings. ( Bus Industry Vol. 8, No. 2, Apr.-May-Jun. 1981, p. 25; RS, CUTA 1988, CUTA 1989, CUTA 1991/2, CUTA 1992, photo: Bernard Drouillard [Peter Cox coll.]). In 1927 received a Public Utilities Board certificate to operate scheduled service between Windsor and Hantsport (Gillis p. 141). Does not appear on the 1923 or 1930 lists. Received 1938 P.U.B. certificate for scheduled bus service Windsor - Hantsport and Windsor - St. Croix (as well as intercity route Windsor - Walton) (Gillis p. 145). Certificate renewed 1946 (Gillis p. 147). 1954 Public Utilities Board certificate to operate scheduled bus service Middleton - Wilmot - Kingston - RCAF Greenwood [14 km] (Gillis p156). Certificate cancelled 1956 (Gillis p160). The Cornwallis Valley Railway (inc. 1887 NS), a subsidiary of the Dominion Atlantic Railway, operated twice daily mixed train service between Kentville and Kingsport via Centreville, Sheffield Mills, and Canning (21.9 km/13.6 mi., 40-60 min.). 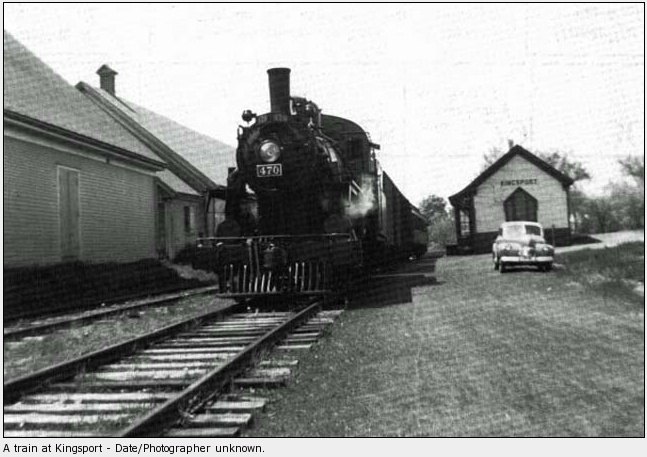 The morning train arrived in Kentville at 8:30AM and the afternoon train departed at 4PM (1949 schedule), providing daily commuter transportation primarily to student attending school in Kentville. Supplementary bus service was added 01 May 1947 but discontinued circa 1949 (Coleman 2013). Trains discontinued in favour of buses 1961. Cameron, John R., “Cornwallis Valley Railway and North Mountain Railway,” The Railways of Nova Scotia , 1999. Coleman, Ed, “Gone and Almost Forgotten the CVR Bus,” kingscountynews.ca, 2015. Smith, Ivan, “Cornwallis Valley Railway,” The Railways of Nova Scotia , 1999. Public Utilities Board list of valid 1930 certificates for scheduled bus service includes LBCo operating Liverpool - Milton and Liverpool - Brooklyn (Gillis p. 142). Company does not appear on the 1927 or 1946 lists. 1946 P.U.B. certificate for local routes Brooklyn - Liverpool - Milton and Liverpool - Western Head [7 km] (as well as intercity routes) (Gillis p. 150). Does not appear on the 1954 list of P.U.B. certificates. Nova Scotia Railway Historical Society, Liverpool and Milton Tramway (1897 - 1923) , a World Wide Web page at the URL: http://www.webpage-fx.com/NovaScotiaRailways/Historys/LiverpoolAndMiltonRailway.htm, 1998. Chant, Robert, Liverpool & Milton Railway (1897 - 1923) , A world wide web page on the “Railways of Canada Archives” web site at the URL: http://www.trainweb.org/canadianrailways/articles/LiverpoolAndMiltonRailway.htm, 2000; relocated to http://www.rocarchives.com/Articles/Chant-LiverpoolAndMiltonRailway.htm by 2012. Incorporated 27 March 1902 (NS). Often erroneously enumerated as "Edgerton Tramways". Formal opening ceremonies held 14 October 1904 (RFC). (Due lists start of operation as 11 October 1904). Acquired the local electricity utility, the New Glasgow Electric Company, Limited (incorporated 1887 (NS)) 16 March 1909. Resulting enterprise renamed PCECo 1909. (photo: Allison Nelson/pictoupostcards.com). Company acquired by the PCPB 1924. Bus service was introduced on the Pictou system in 1926 (CR&MW 1931, 1932). (Due reports end of electric railway service in May 1930). PCPB continued to operate as an electricity utility until acquired by the Nova Scotia Power Commission 1963. 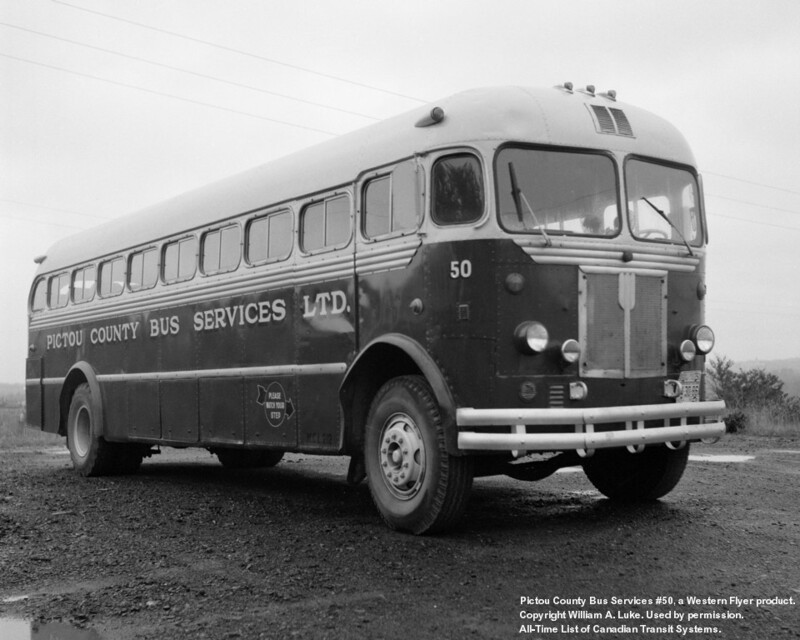 Bus services began in 1926, under the auspices of the Pictou County Power Board. 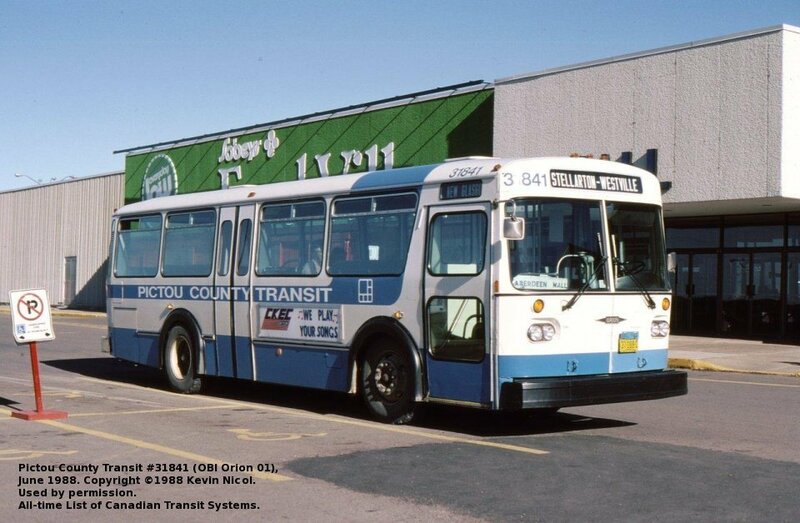 Company purchased 1987 by SMT (Eastern) Limited chiefly for its Nova Scotia charter licence (Gillis). (photo: William A. Luke). Ellard Burns Irving received a Public Utilities Board operating certificate in 1946 for scheduled bus service Pictou - New Glasgow [18 km] and Pictou - PEI Ferry at Caribou (Gillis p. 148). 1954 certificate added third route Pictou Landing Wharf - New Glasgow (Gillis p. 154). A 1966 timetable uses the name Irving's Bus & Taxi Service. (Scrafton et al. 1970, Dawes et al. 1972 lists Irving's Transfer). According to its Winter 1956/57 time table, Canadian National Railways operated a daily except Sunday train between New Glasgow and Pictou (15.9 mi./25.4 km, 50-60 min.). After calling at Stellarton, Westville, and flagstops Alma, Sylvester, Loch Broom, Brown Point, Norway, and West End, commuters arrived at Pictou at 8:30am. The reverse journey departed at 5:10pm. This meets a basic definition of a commuter train (weekdaily, rush-hour scheduling and run time under about 90 minutes). 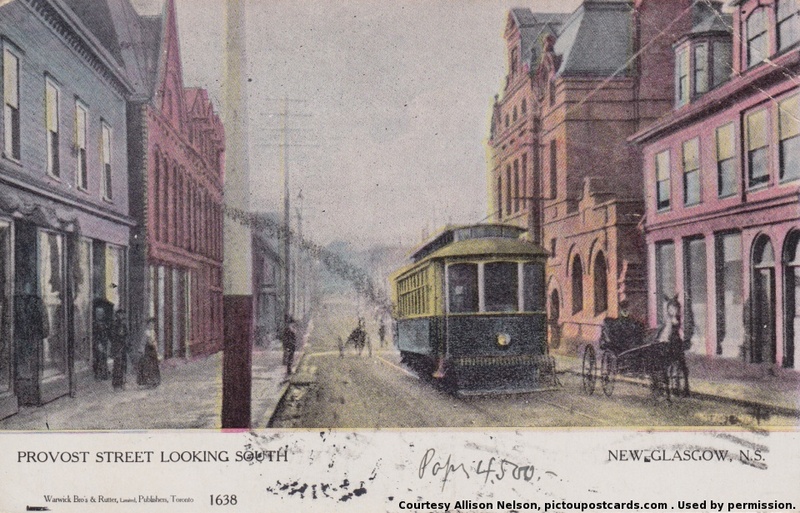 The single train round trip was supplemented by three daily bus trips from New Glasgow to Pictou and four in the reverse direction. By the 1960 time table the afternoon train had been moved to a 3:50pm departure, too early for work commuting. 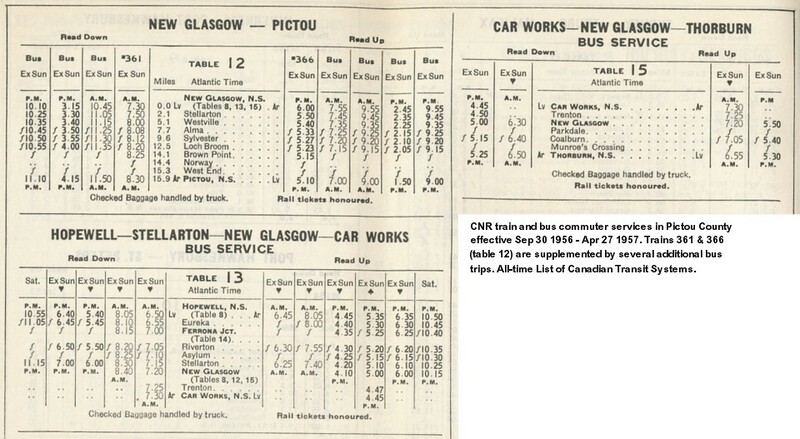 None of these service appear in the 1966/67 CN time tables. Pictou County Electric Companies , a world wide web document at the url: http://ns1758.ca/electric/electricpwr06.html, 1998, 2011. 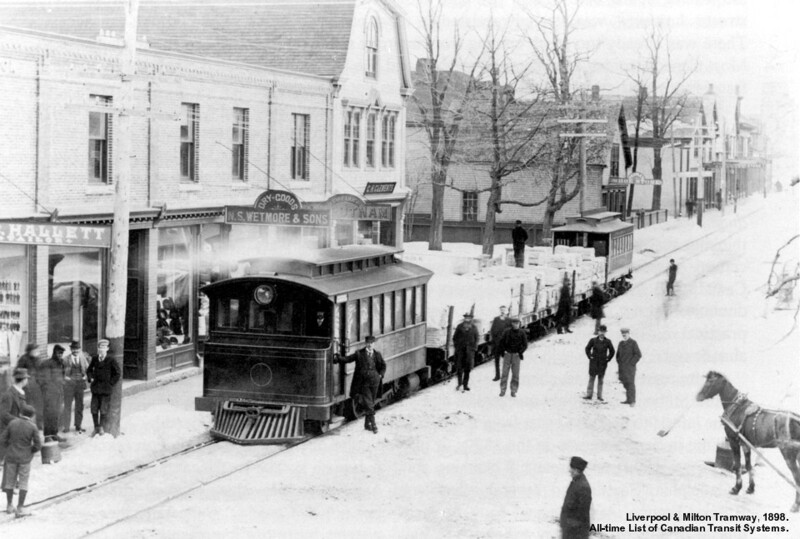 “The Westville Tram Cars”, part of the website The History of Westville , URL: http://www.parl.ns.ca/westvillehistory/tramcars.asp 2011. Operations of the Strait Area Transit Cooperative Ltd. supported in part by the Strait-Highlands Regional Development Agency. Scheduled bus service in Richmond County and southern Inverness County on Cape Breton and Mulgrave on the mainland. website 2010). Regular route service between Mulgrave and Port Hawkesbury abandoned 15 August 2012. All operations suspended 25 March 2013 - 28 April 2013 for financial reasons. All scheduled route services ended 25 March 2013. From 28 April 2013 agency operated only its demand-responsive door-to-door service requiring 48-hours advance booking. Scheduled route service was recommenced 02 September 2014. Route servicing Waycobah, Wagmatcook and Baddeck in Victoria County instituted 31 August 2015 and discontinued in June 2016. Received a 1946 Public Utilities Board certificate to operated scheduled bus service Debert - Truro, and Truro - Valley via College Road, Fast Court Rd, the Main Highway, and Cross Roads (Gillis p148). Does not appear on the 1938 or 1954 lists. Operates five times daily bus service between Bible Hill and Truro Heights, as well as dial-a-ride service, a once weekly run between Truro and Bass River, and on-call service to Stewiacke and Tatamagouche. On 19 July 2001 CTC applied to end the scheduled Bible Hill - Truro Heights service on account of low ridership and the exhaustion of a start-up subsidy. "The co-op operates the only scheduled bus run in the Truro area." (http://canada.com/cgi-bin/local.asp?f=/novascotia/truro/stories/20010710/010710trurostory1.html canada.com article by Cathy von Kintzel, 2001). Copyright ©1989-2017 David A. Wyatt. All Rights Reserved.